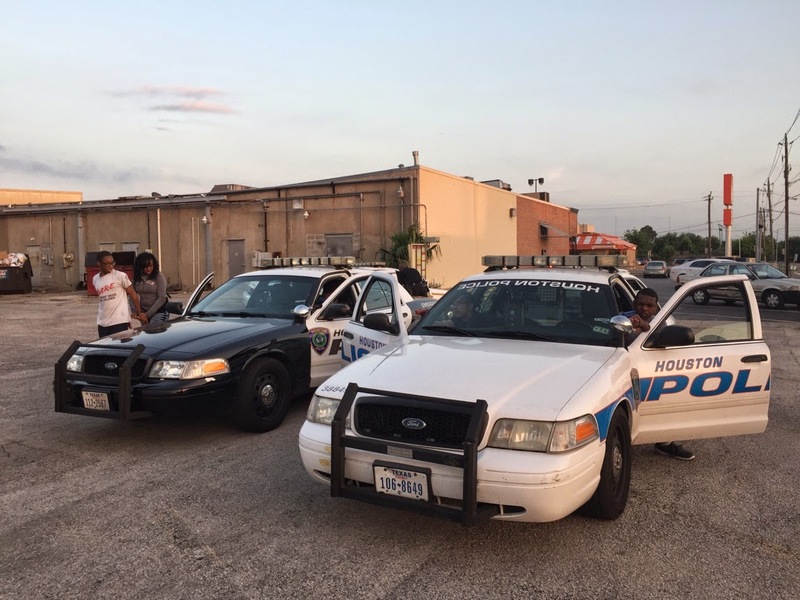 Last night the South Gessner Post worked on felony traffic stops. 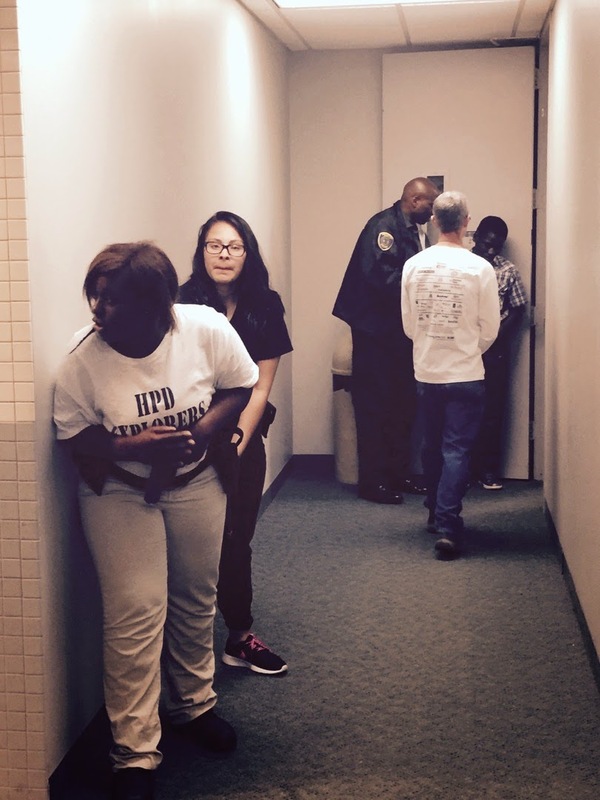 Last night, Southeast Post 8300 and South Central Post 2202 went through shoot don't shoot training that included using the simulator. It gives explorers the experience of having to make split-second decisions. 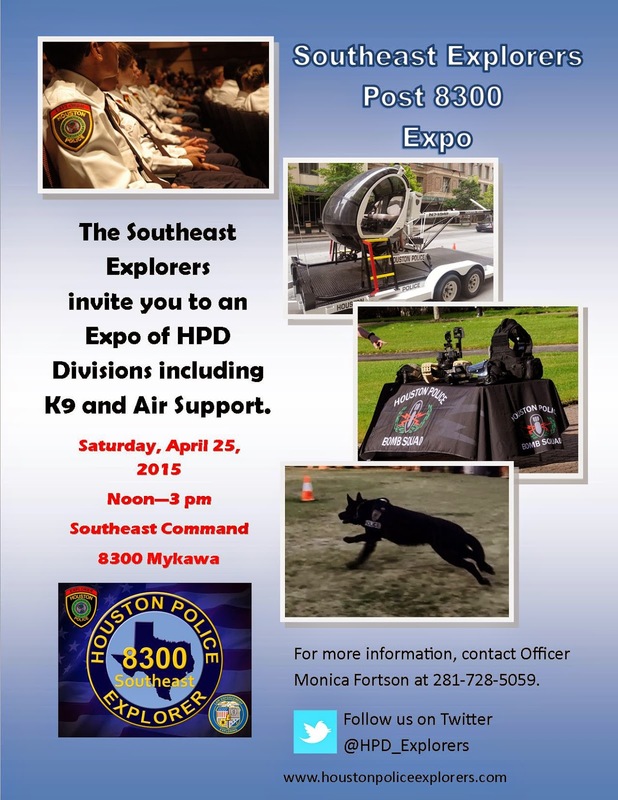 Come out this Saturday to the Southeast Patrol Command for an Expo! 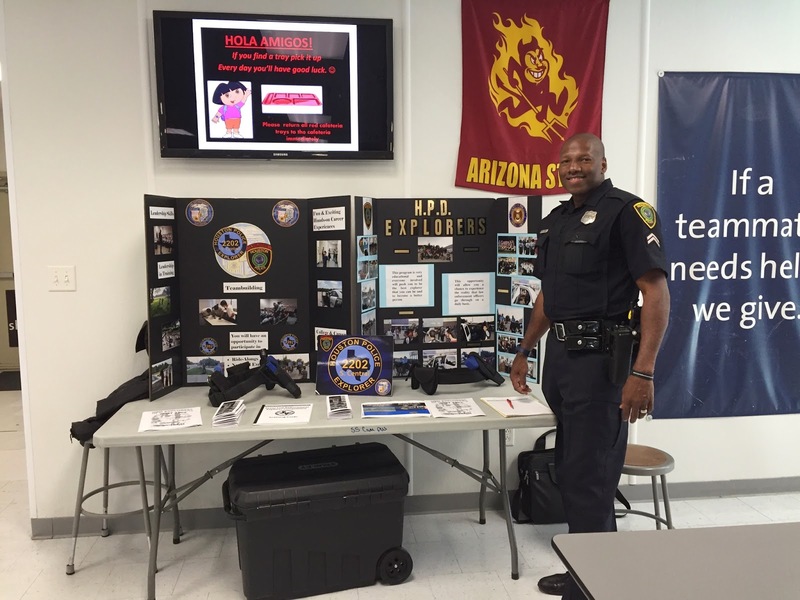 Officer Webb had a great recruiting event for the HPD Explorer program at KIPP Academy. Thank you for having us! 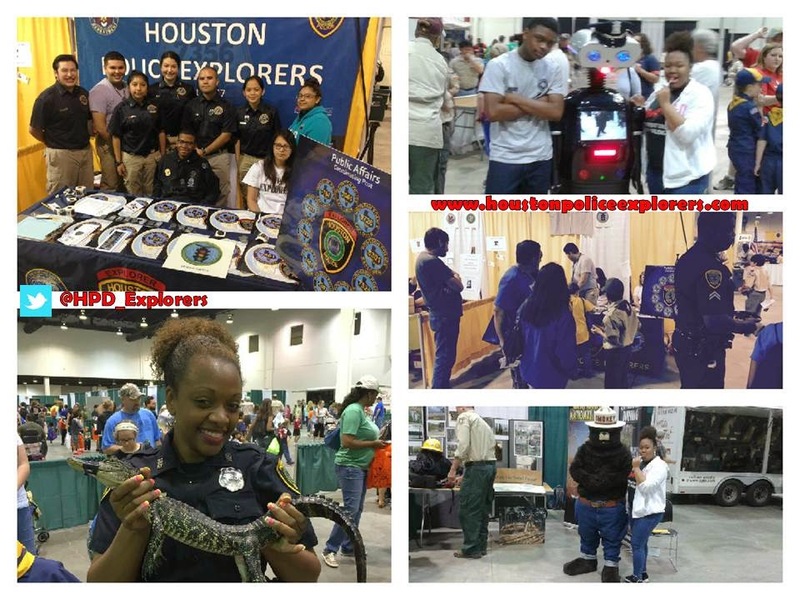 HPD Explorers were out at the 2015 BSA Scout Fair at NRG Arena this past weekend. 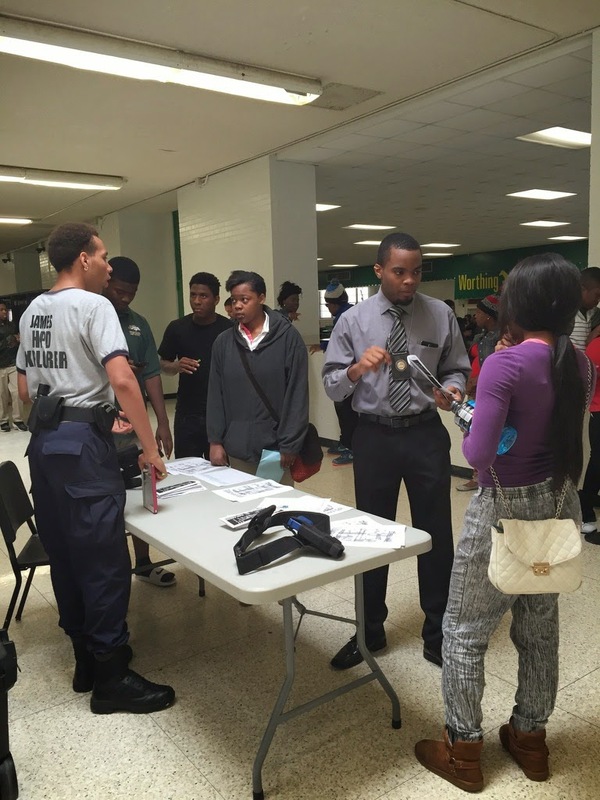 They staffed a booth and talked about what Law Enforcement Exploring. For more pictures, go to the Explorer Flickr page at THIS LINK. 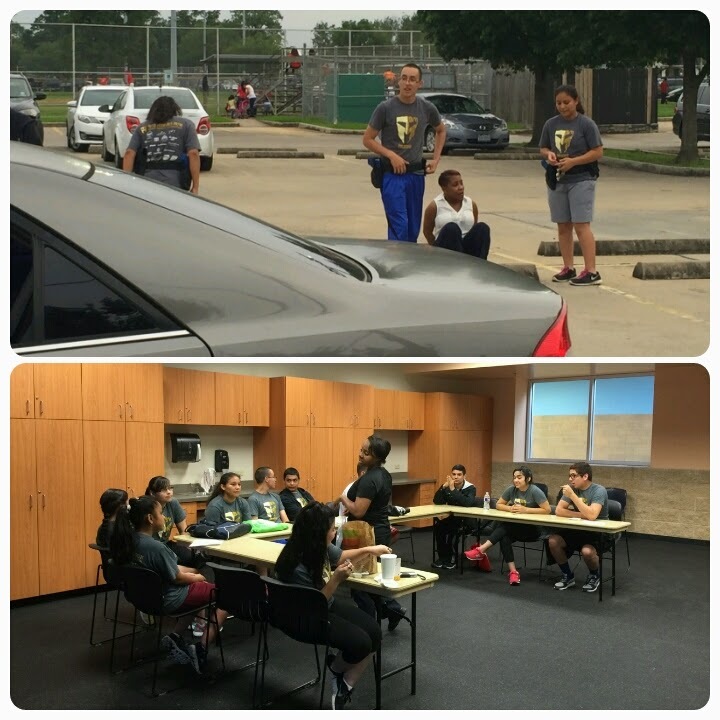 Explorers from Posts High School for LE&CJ 1184 & Central 2061 attended the Teen and Police Service (TAPS) Academy youth conference hosted by the University of Houston - Clear Lake. 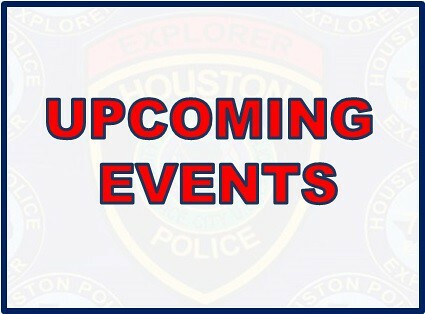 HPD Executive Assistant Chief Mike Dirden and Assistant Chief Troy Finner were also in attendance. 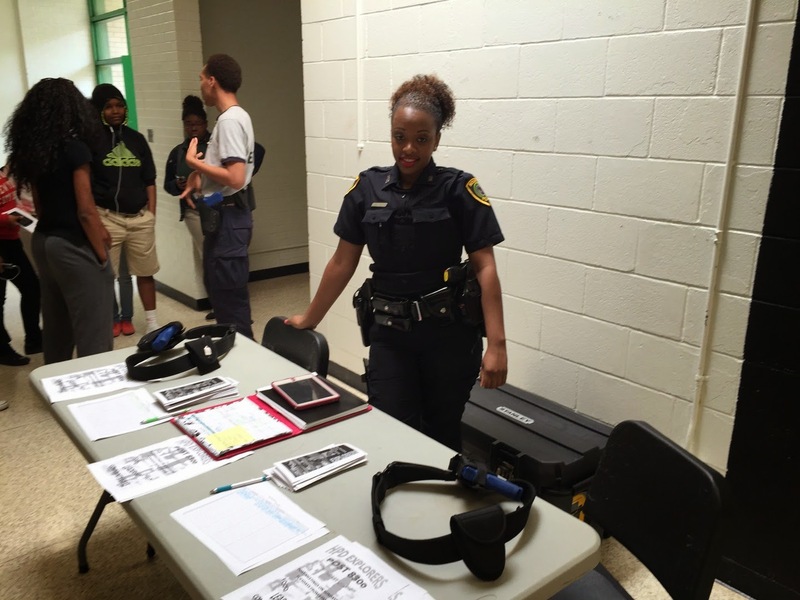 Officer Monica Fortson and the Southeast Explorer Post 8300 had a great turnout at Worthing High School today. 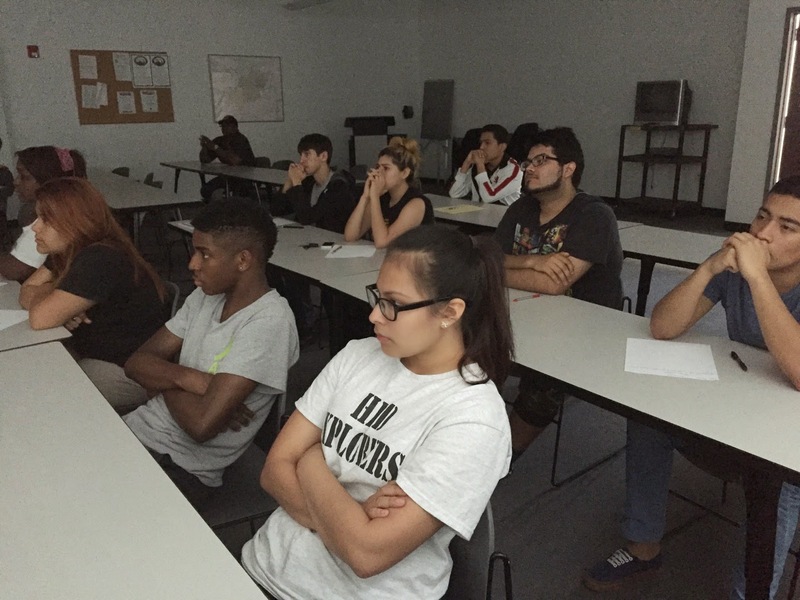 HPD Homicide Sergeant Brian Harris stopped by explorer training tonight. 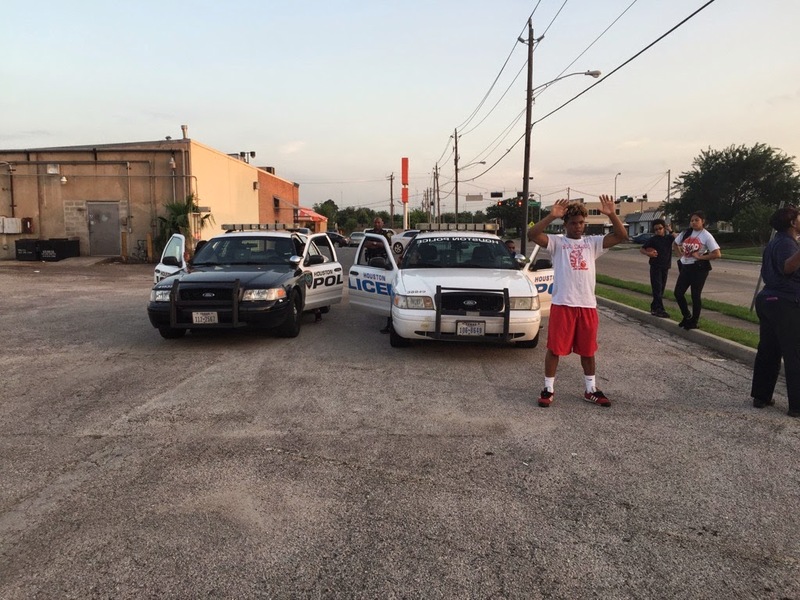 He talked to the Southeast and South Central Posts about Homicide Investigations. Sgt. 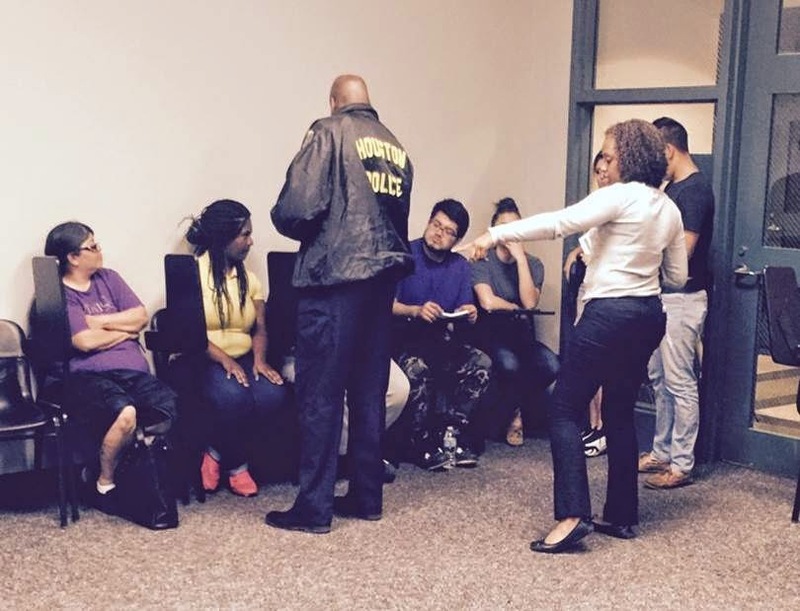 Harris has been in the Homicide Division for more than 20 years. 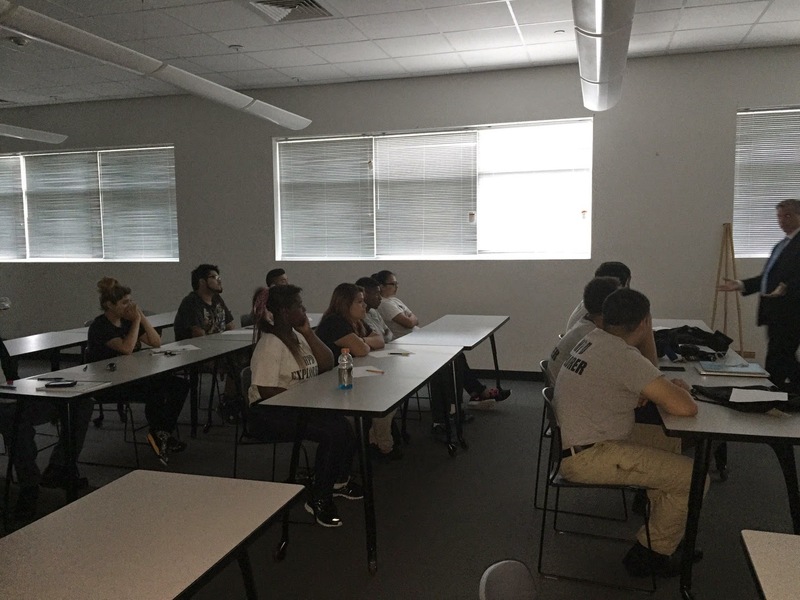 Thank you to Lt. Patricia Cantu of South Central Patrol for attending the Explorer Training at Southeast Command. 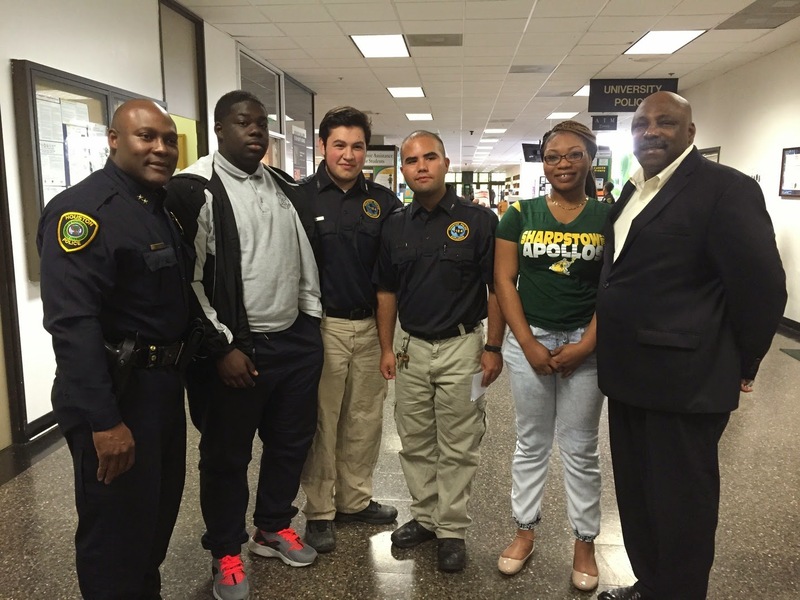 The explorer program has received great support from HPD Management and members of the HPD Command Staff. 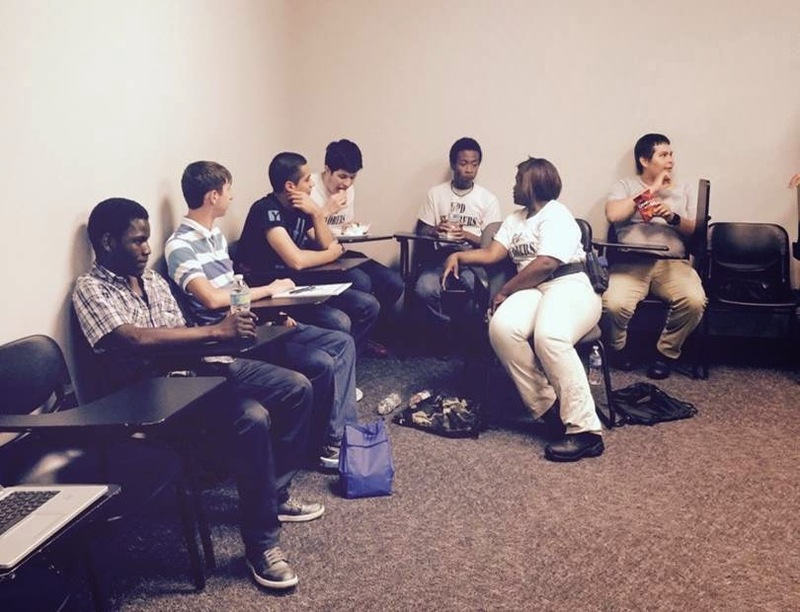 The explorers thank you! 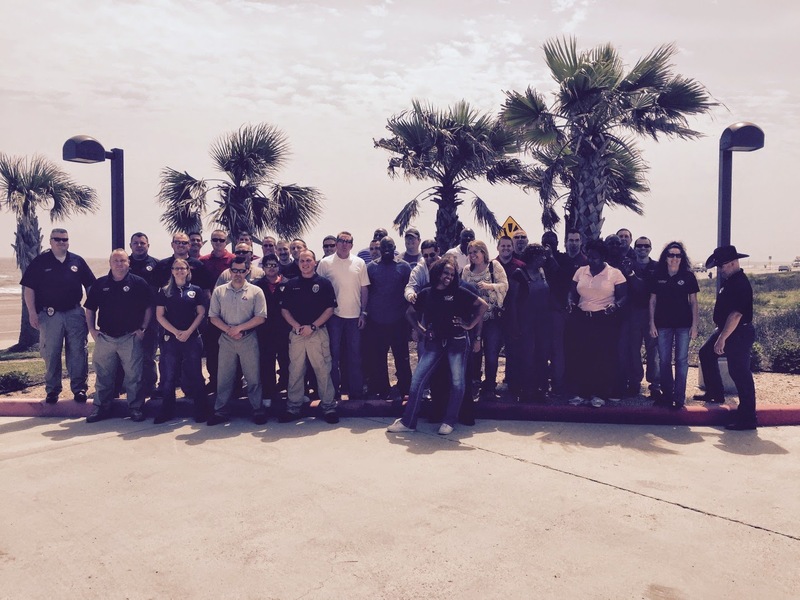 Texas Law Enforcement Explorer Advisors Association (TLEEAA) Conference in Galveston! 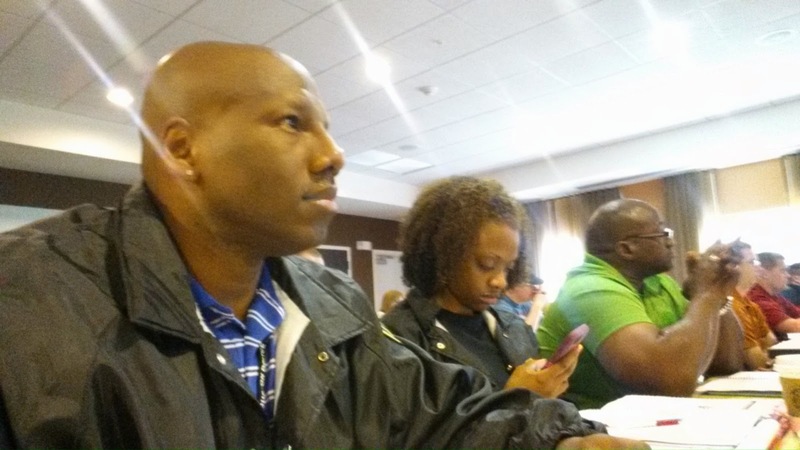 Advisors Charles Webb, Monica Fortson, and Denito Berry are hard at work at the TLEEAA Conference. 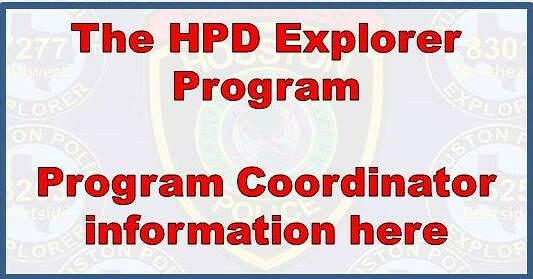 The training will give HPD State recognized advisors for the HPD Explorer program which is growing by leaps and bounds. 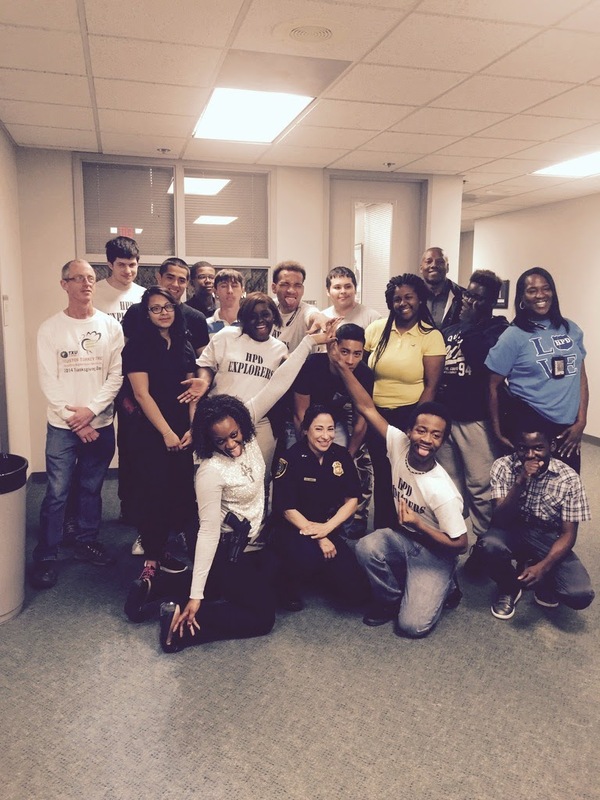 South Central Explorer Post 2202 received a generous donation from Larry Zomper and Associates recently. 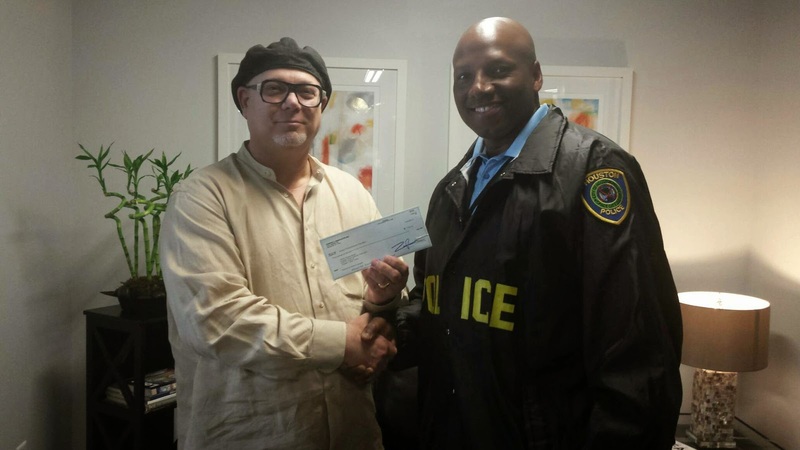 Post Advisor Officer Webb is pictured here accepting the donation. 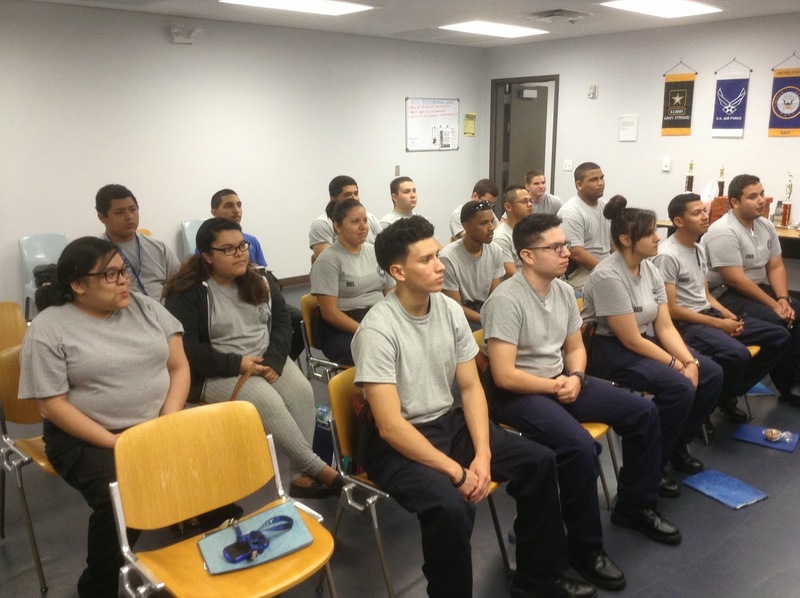 This past weekend, explorers from Southeast Post 8300 hosted a joint training session that included Midwest Post 7277 and South Central Post 2202. 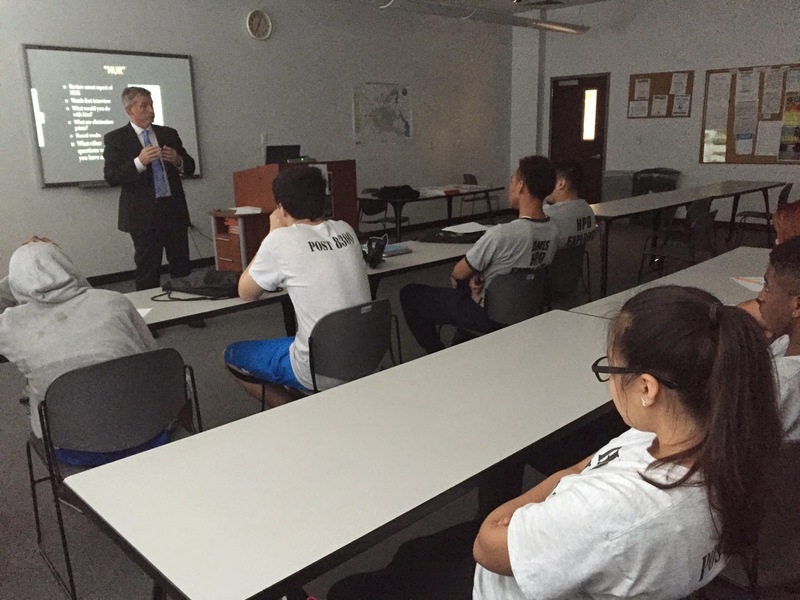 The explorers worked on felony traffic stops, disturbances, and were taught warrant execution procedures by a HPD Narcotics officer. 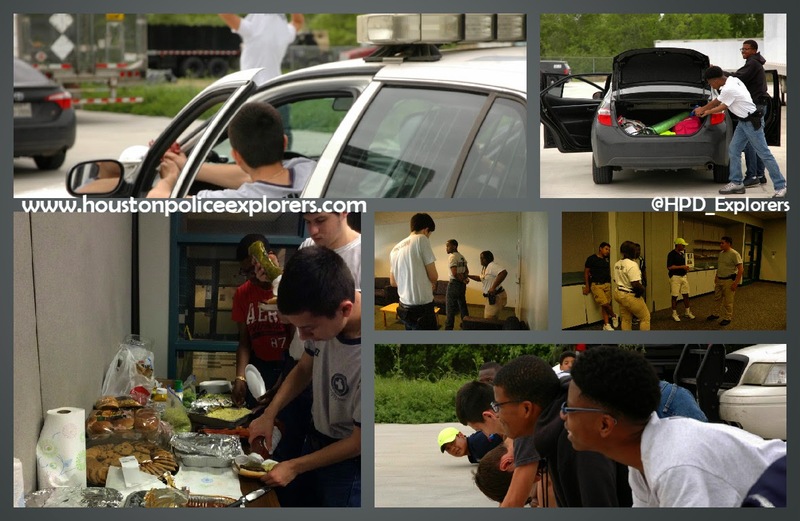 For more pictures, please go to the HPD Explorer Flickr account at THIS LINK. 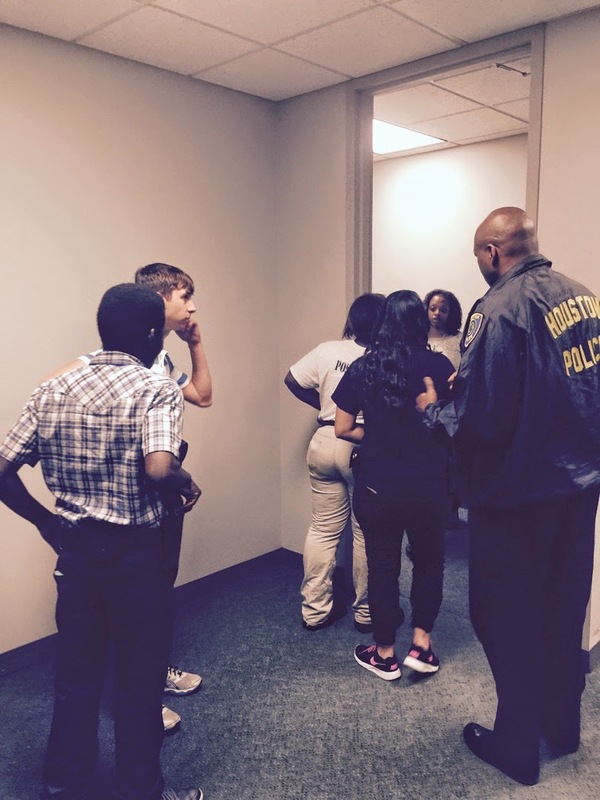 Southeast and South Central HPD Explorer Posts did a combined training session this week. 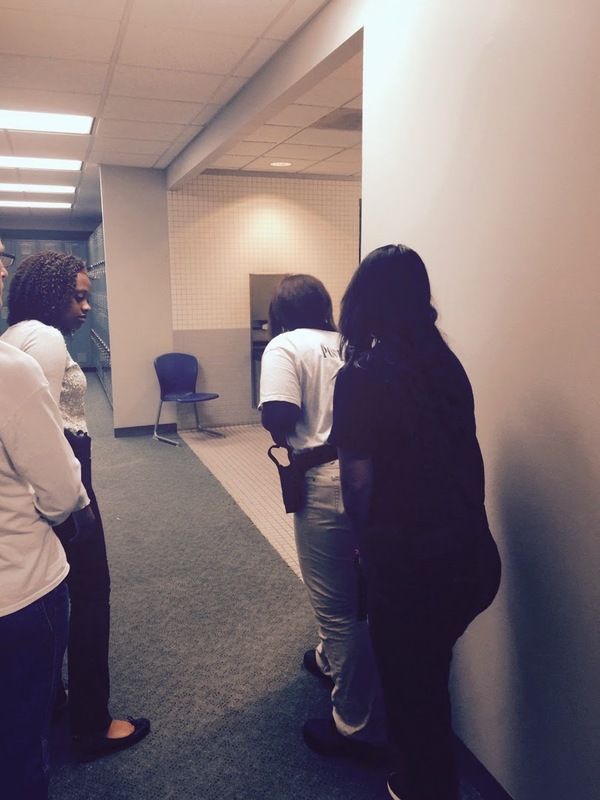 This week the Explorers worked on building searches. 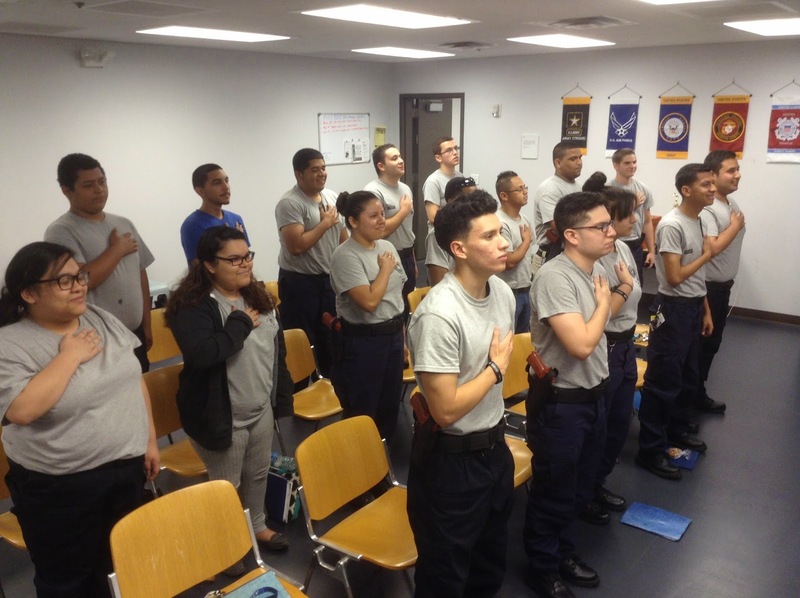 Training nights always start with the Explorers and advisors standing for the Pledge of Allegiance. 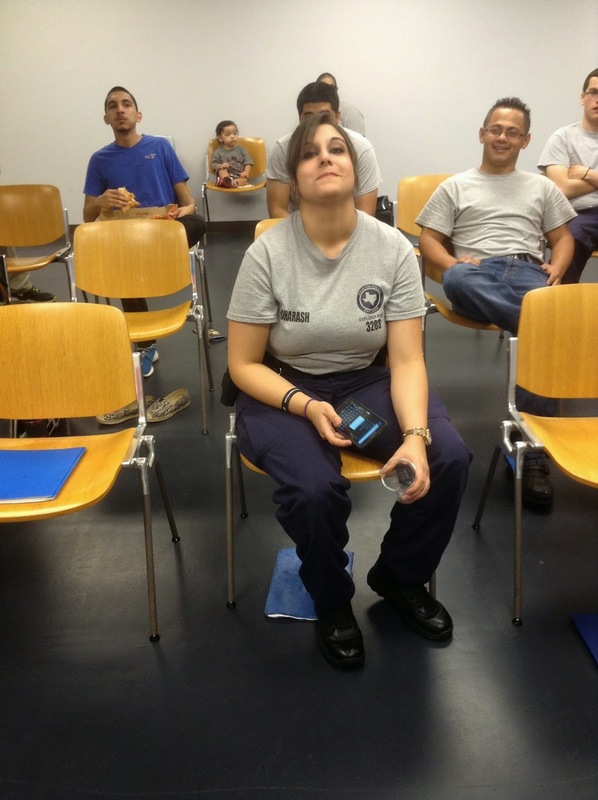 Next, they go through roll call and listen to the advisors every word. 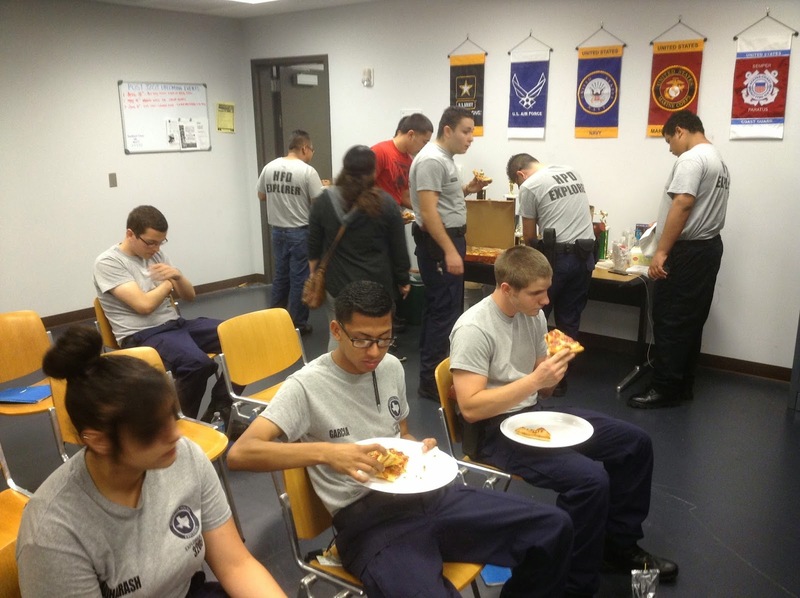 Tonight was a special night because it was pizza night! 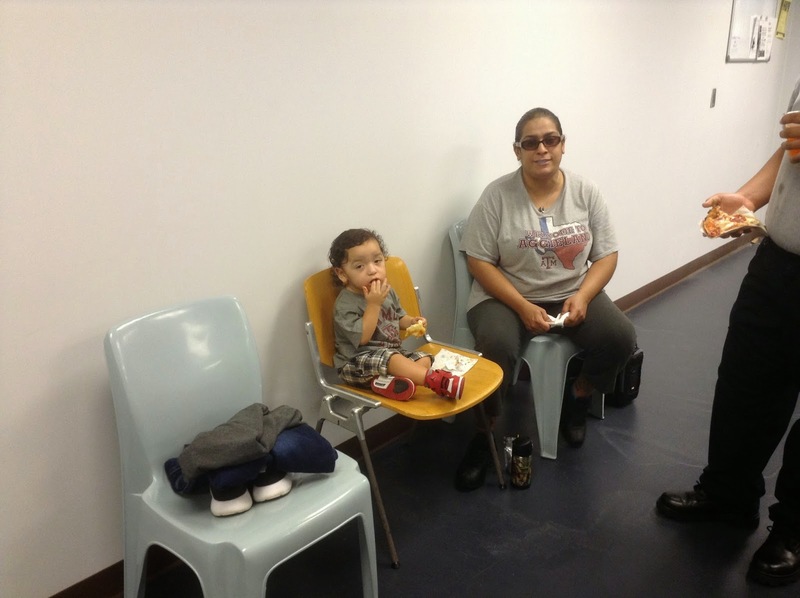 Pizza was generously provided by Mrs. Donna Rodriguez. THANK YOU!!!! 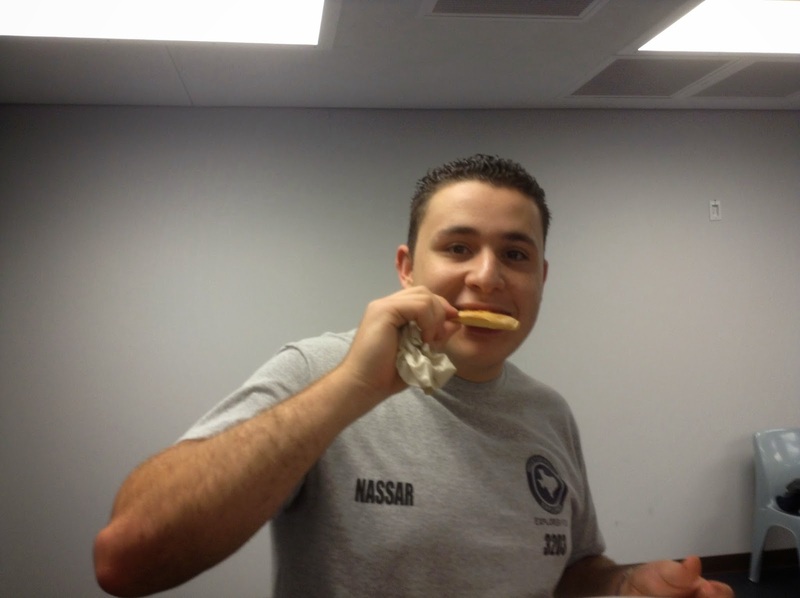 Mohammed seems to be enjoying his pizza. 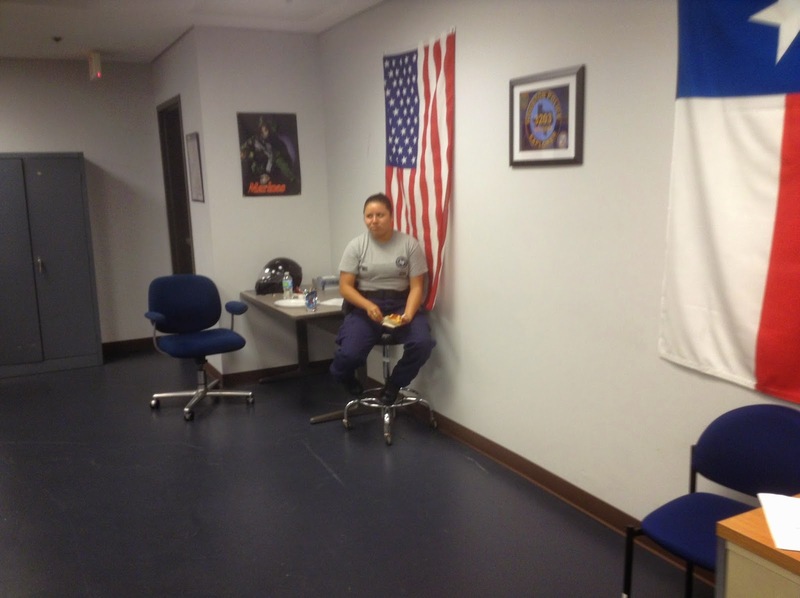 Is Karina in time out???? Shereen, are you playing on your phone?